I’ve been feeling a little run-down lately, with the wedding date just around the corner, busy work days, and a jam packed personal calendar, there is a lot going on and I feel pressed for time all the time. With that being said, nothing makes me feel more relaxed then some care-free family time. It was so nice spending last weekend with my family, I forgot about all the hustle bustle in my life and felt completely refreshed for the weeks ahead. I feel grateful for the having such an amazing group of people in my life who are constant sources of positive energy. 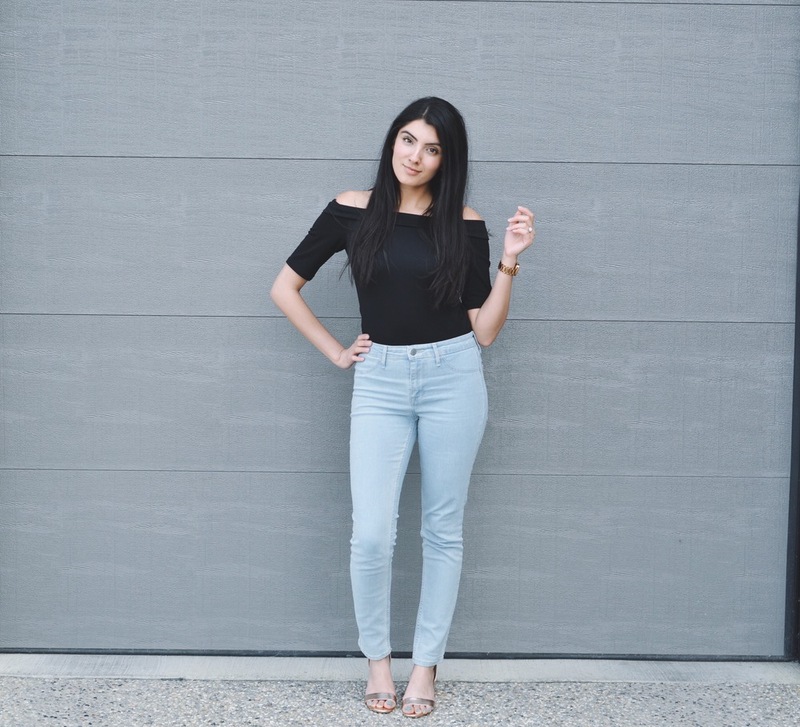 For my family-fun filled weekend I kept it basic but still trendy by pairing light denim skinny jeans with an off-the-shoulder body suit and rose gold block heels… all from H&M! This look is so simple, but I felt so put together, sometimes less is more.